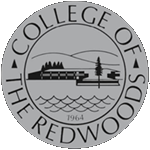 The mission of the Public Safety Department at College of the Redwoods is to provide a safe, secure, and healthy college environment for all students, staff, faculty, and visitors. Public Safety is committed to achieve this mission through a variety of services, emergency preparation, professionalism, and a respect for all persons and property. Welcome to College of the Redwoods. The College of the Redwoods Public Safety Department is dedicated to the protection of persons, property, and protecting the freedom of individuals. It is our goal to prevent crime and to provide all services necessary to accomplish our mission statement. Through a highly visible presence and professional interaction with everyone on campus, we are determined to protect and provide a peaceful and safe environment in which to work, live, and learn. We believe it is a vital part of our mission to keep our higher education community a safe place, an inviting place, and a desirable place, where those dedicated to learning can follow their dreams and improve their lives. Unfortunately there are those who wish to take these things away through improper and/or unlawful acts, and we take it very serious to be watchful and diligent in preventing or stopping them as soon as possible. We look for opportunities to provide service and to be of assistance, and to be helpful and approachable at all times.